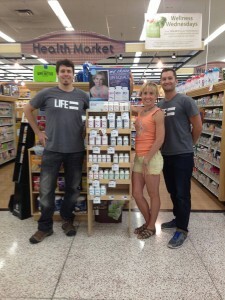 Life Equals® is a progressive wellness brand, born here in KC and we believe a better you creates a better world. Life Equals® is a one-for-one company that makes wellness simple, personal &amp; consistent. We offer premium vitamin and supplement products which focus on preventative health using only the highest quality, bioavailable and whole food blends. With every purchase, Life Equals® gives one month of essential children's multivitamins to a malnourished child in need. One for One. 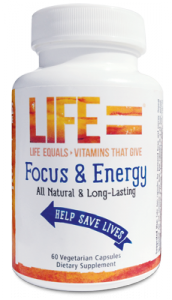 Life Equals® flagship product is our Focus &amp; Energy(TM) supplement. It's a holistic blend of B-Vitamins, Amino Acids and Herbs to enhance your mental focus and physical energy, with out all the downside of an energy drink.